Datally now has an emergency bank of data and a bedtime mode option. Google's data-saving app for Android users, Datally, now has two new features which it says will save users even more data. Datally was first introduced to SA last November, and other emerging markets a few months before that, as a way to help data-conscious users monitor their mobile data usage and see where they can save it, as well as find public WiFi hotspots. 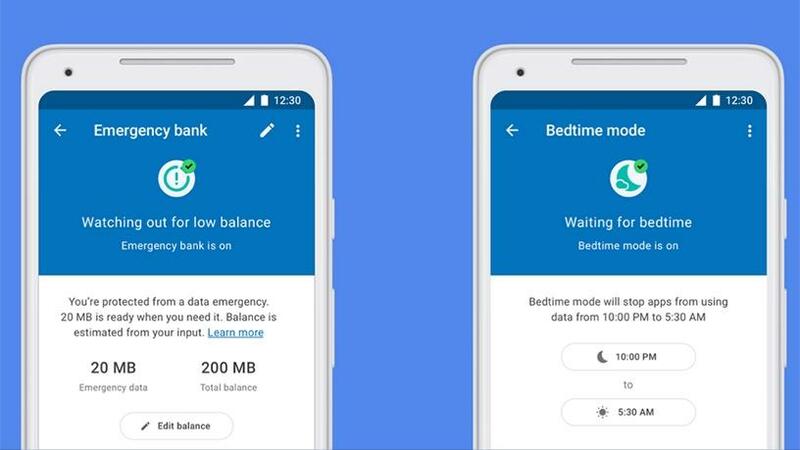 The new features, called emergency bank and bedtime mode, promise to make sure users always have data when they need it most and do not use it unnecessarily when sleeping. "Emergency bank saves some of your data so you have it protected for later, just in case you need it," says Mengling Li, Google software engineer for 'the next billion users' team. "Enter your balance and how much data you'd like to save for emergencies, and Datally will automatically block your apps from using data once you reach your emergency data allowance. You decide when and how to use your emergency bank data; for example, to send that urgent message or schedule a ride home." Bedtime mode is meant to prevent apps updating or working in the background while the smartphone is not actually in use. "Check your data balance before bed, then check again when you wake up. It should be the same, shouldn't it?" says Li. "Too often, apps drain your data overnight. Bedtime mode turns off all of your phone's data usage at night. Choose your bedtime and wake-up time, and Datally makes sure your data isn't draining while you're dozing." In SA, the consumer-driven #DataMustFall campaign is pressurising government and regulators to bring local data prices down. While Google can't promise to lower the price, it hopes this app will help Android users monitor, save and gain control of their data. Datally users can also see how much data they used in the last hour, day, week or month, and they can see exactly which apps used the most data. After some use, the app will give users personalised recommendations on where they can save.